Bernie and Lois are an adorable couple who are ready to embark on a new life. They are now one step closer to living their dream retirement in Hudson, WI! 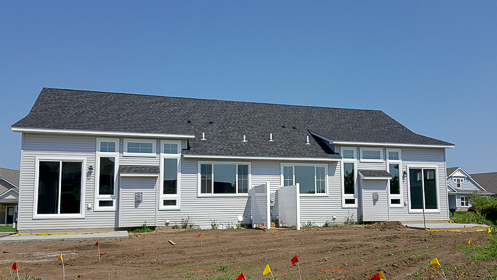 A ‘rightsized’ new construction twin home! 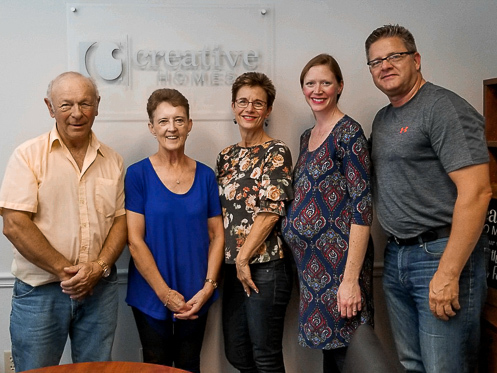 We were excited to assist them in their negotiations with their builder, Creative Homes. Bernie and Lois chose a new construction, one level twin home design that offered a basement (which they chose to finish right away.) Their new home offers a main floor master suite, gorgeous kitchen, and main floor laundry. They will enjoy a patio and the feel of a yard, but without the maintenance and upkeep. The homeowners association takes care of all exterior maintenance, including winter shoveling and plowing. Their daughter is purchasing the adjoining unit, so they will be close to each other, yet have their own space. Downsizing your home can mean different things. In fact, we prefer to use the term ‘Rightsizing’. The right location, near family, friends, and activities. Sometimes the right location is a new state, perhaps a warmer climate. For some people, it means lake shore, golf course homes, or urban condos. The right layout with functional spaces for living, entertaining, and hobbies. Baby boomers and seniors in Hudson, WI want homes with a all the main living areas on one level with a main floor master suite, main floor laundry, and no stairs. Many folks choose to have a finished lower level with a family room, guest bedrooms, and storage and hobby space.